Get ready for your party night style, these Striking gold chain handpiece from Noir, cascades over the hand from an adjustable bracelet to a ring. Fits comfortably around the base of the middle finger. 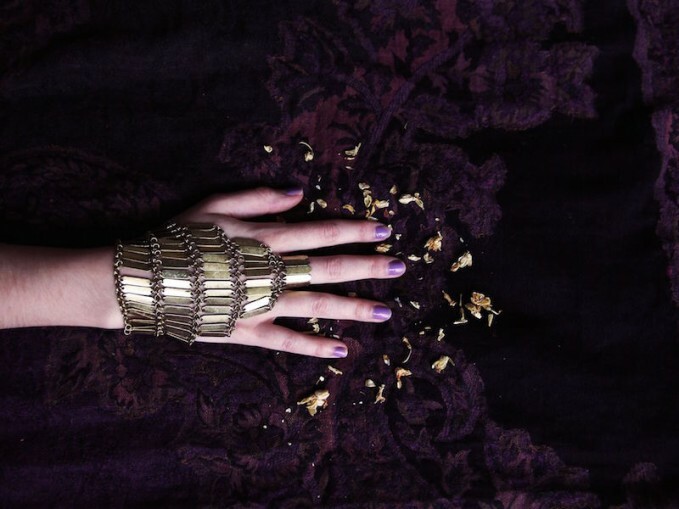 Get the Noir handpiece at Free People.